Bain, A.L., 2018. Artists as property owners and small-scale developers. Urban Geography, 39(6), pp.844–867. Available here. Bain, A.L. and Landau, F., 2018. Artist intermediaries in Berlin: cultural intermediation as an interscalar strategy of self-organizational survival. Urban Research & Practice, 11(3), pp.247–262. Available here. Dasgupta, R. and Gururani, S., 2018. Frontier Urbanism Urbanisation beyond Cities in South Asia. Economic and Political Weekly, 53(12). Available here. Gururani, S., 2018. “When land becomes gold” : Changing political ecology of the commons in a rural–urban frontier. In: Land Rights, Biodiversity Conservation and Justice. Available here. Hadj-Moussa, R., 2018. The Public Sphere and Satellite Television in North Africa: Gender, Identity, Critique. Cambridge Scholars Publishing. Available here. Hae, L., 2018a. Translating a Fast Policy: Place Marketing and the Neoliberal Turn of Critical Urban Studies in South Korea. In: Developmentalist Cities? Interrogating Urban Developmentalism in East Asia. pp.313–334. Available here. Hae, L., 2018b. Traveling Policy: Place Marketing and the Neoliberal Turn of Urban Studies in South Korea. Critical Sociology, 44(3), pp.533–546. Available here. Norcliffe, G. and Gao, B., 2018. Hurry-slow : Automobility in Beijing, or a resurrection of the Kingdom of Bicycles? In: Architectures of Hurry—Mobilities, Cities and Modernity. Wekerle, G.R. and Classens, M., 2018. Challenging property relations and access to land for urban food production. In: Urban Gardening as Politics. Co-authored by Linda Peake, Darren Patrick, and Gokboru Sarp Tanyildiz (of the City Institute) and Rajyashree N. Reddy, Sue Ruddick and Roza Tchoukaleyska. This article is part of Society and Space's recent special issue: volume 36(3). This piece considers the theory of planetary urbanization and raises many theoretical and political questions that the articles and interventions in this theme issue address, such as: How best to conceptualize the global urban condition and its implications for social change? What to do with the “right to the city”? How does planetary urbanization contribute to our understanding of present day radical social movements? What to do with the notion of city as “form”? How do we comprehend the “non-urban”? What room is there for social reproduction and the politics of subjectivity? Who is included in a vision of the urban subject-citizen? How do urban inhabitants and those who are deemed its un-inhabitants make life possible in and through their shaping of cities? How does migration factor into planetary urbanization? And what are the political and quotidian implications for the replacement of boredom (the dominant affect for Lefebvre and the Situationists) by anxiety, arguably the linchpin of subordination, in the early 21st century? Planetary urbanization: An urban theory for our time? Co-authored by Sue Riddick, Linda Peake, Gökbörü S Tanyildiz, and Darren Patrick. This article is part of Society and Space's recent special issue: volume 36(3). In our engagement with Neil Brenner and Christian Schmid’s thesis on planetary urbanization we argue that, while they have successfully marked some important limits of mainstream thinking on the urban, their privileging of epistemology cannot produce an urban theory for our time. Engaging in a symptomatic reading of their work, and with a focus on the implications of their limited mobilization of social ontology—or Lefebvre’s ontology of the everyday—we ask what is occluded in planetary urbanization. In particular, we explore three areas of concern: the urban as the grounds for difference, centrality and the everyday; the omission of subjects of and occlusion of subjectivity; and the occlusion of a constitutive outside and its political capacities to remake the urban. This article is part of Society and Space's recent special issue: volume 36(3). This paper argues that the ‘city’ as a political entity is significant in struggles over the ‘urban’, by identifying two moments of ‘differential urbanization’ in the Middle East. Our study in Iran and Palestine/Israel shows that the vision of the ‘city’ as a legitimizing space for political citizenship is at the heart of conflicting imaginaries: in Iran, ‘cities of revolution’ built through housing the poor around Tehran, and redistributive politics that stand on filling the ‘rural/urban gap’, and in Palestine, the new city of Rawabi as a city of Palestinian independence, where privatized urban development contrasts colonial spatialities with anti-colonial potentials. Thus, the right to the ‘urban’ involves claims for the ‘city’ that go beyond the capitalist logic of urbanization. This theorization points to a troubling gap in the planetary urbanization thesis, which moves from collapsing the ‘urban/non-urban’ divide into ‘concentrated’, extended’ and ‘differential’ urbanization to diminishing the role of distinct sociospatial configurations in claims over the ‘urban’. Our case studies show that examining the reconfiguration of inherited spatialities in the context of particular political regimes is imperative for epistemology of the ‘urban’ in its planetary stage. Urbanization otherwise remains an uninterrupted process towards a non-spatial ‘urban condition’. This article is part of Society and Space's recent special issue: volume 36(3). This article confronts debates about extended and concentrated urbanization with Indigenous claims to time and space. It does so in part by discussing the degree to which notions of extended and concentrated urbanization allow us to understand the dynamics of pipeline politics in Canada, notably Indigenous claims leveled at infrastructure projects. It argues that Lefebvre-inspired research is both promising and insufficient in this regard. Their promises can only be realized provided one considers urban research as mediation (between everyday life and the social order), contextualize urbanization as a product of non-linear histories through which ‘city’ and ‘non-city’ are transformed or reinstituted as socio-spatial forms, and take seriously imaginaries that may not only contest but also refuse the expansion of the urban field. Meeting these conditions is not possible without resorting to other, non-Lefebvrean approaches that help us understand the settler-colonial aspects of Canadian urban history and grasp the inter-national dimensions of Indigenous politics. Finally, opening up Lefebvre scholarship to considerations of settler colonialism is impossible without the distinct relational theories of time and space that inform radical Indigenous theories (and some pipeline struggles). Indigenous claims in or against urbanization thus represent a limit case of urban research. This article is part of Society and Space's recent special issue: volume 36(3). Urbanization today, now that it has become generalized, is mainly suburbanization in its manifold differentiation. As suburbanization becomes the form and suburbanism becomes the life of much of the urban revolution, we are entering an age of postsuburbanization. This means, for example, that the notion of suburbanization as dependent on one centre has to be discarded as the form and life of the global suburb take shape in a general dynamics of multiple centralities and decentralities. It includes a maturation of classical suburbia, a more splintered and fragmented urbanism. This paper reviews aspects of a Lefebvrian discussion around these issues and focuses in on the explosion and subsequent reassembly of “disjunct fragments” of the urban in a world of global suburbanisms. In so far as it challenges the traditional view of the central-peripheral urban dialectics, it intersects with debates on planetary urbanization. The paper ends with speculations on the horizontalization of sub/urban form and practice in a globalizing world. Urbanization in a Global Context introduces students to the process of urbanization around the world, emphasizing the interconnectedness of urban spaces in different regions. Grounded in international case studies, the text explores contemporary urban issues - from urban policy, climate change, and gender, to transportation and water governance - and incorporates Canadian perspectives to give students a truly comprehensive overview of global urban dynamics. Were the occupations of 2010–11 – from Spain to Tahrir Square to Occupy Wall Street – a success or failure? Are they the model for urban radical politics? This book challenges common understandings and underlying assumptions of what constitutes activism and resistance. It proposes a critical urban theory of politics and citizenship that is grounded in the city as it is inhabited. For those who are marginalized, the city is a double-edged sword of oppression and emancipation. This book argues for an intersectional approach that actively dismantles hierarchies and embraces a wider range of acts of resistance and creative transformation, one in which we recognize these acts of citizenship as a form of constitutionalism. Wood reframes the theorization of protest and of the city, 'post-political' literature and the history of protest, and Marxist and anarchist ideas about the time and space of politics. Through this, she adopts a unique approach to provide new theoretical insights and challenges to post-political thinking. This book will be valuable reading for those interested in political, urban and social geography, in addition to political economy and progressive politics in the urban context. Written by a US-Canadian team of labour researchers and labour geographers, Unions and the City: Negotiating Urban Change investigates how and why labour unions are becoming more involved in urban struggles, regulation and planning in New York City and Toronto. 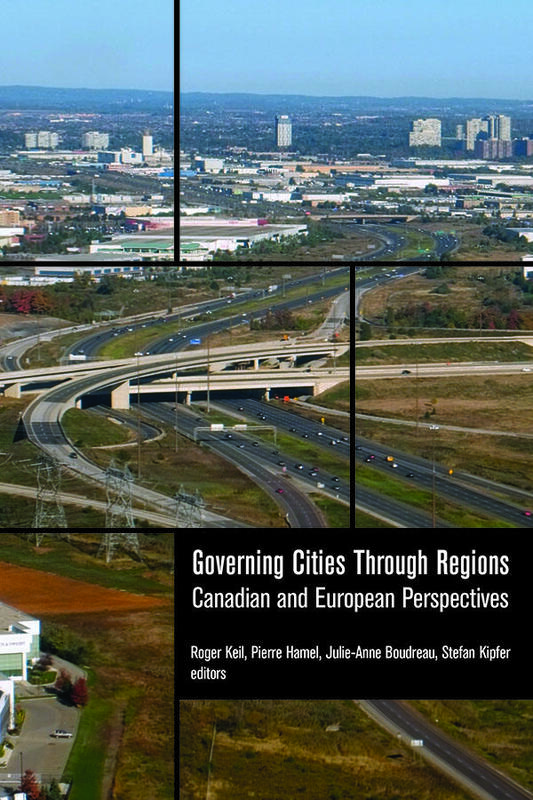 The contributors assess the effectiveness of this involvement in terms of labour goals—such as protecting employment levels, retaining bargaining relationships with employers, and organizing new workforces—as well as broader social consequences of union strategies, such as expanding access to public services, improving employment equity, and making neighbourhoods more affordable. Focusing on four key economic sectors (film, hospitality, green energy, and child care), this book reveals that unions can exert a surprising level of influence in various aspects of urban policymaking and that they can have a significant impact on the nature of urban change. If we are right to believe that the future of the labour movement is an urban one, union activists and staffers, elected officials and members of the public alike will require a fuller understanding of what impels unions to become involved in urban planning issues, what dilemmas structure the choices unions make, and what impact unions have on the lives of urban residents beyond their members. This book contributes to that understanding in the hope that it may serve as a roadmap towards both a stronger labour movement and a socially just urbanism. In Canada order through University of Toronto Press Distribution (UTP). Quote Promo Code – URBA for a 30% discount. Quote Promo Code 09CAU6 for a 30% discount. We are holding a book launch in Toronto on June 1st during the meetings of the Canadian Industrial Relations Association (CIRA) and the Canadian Association for Work and Labour Studies (CAWLS). A panel of labour leaders and activists will be responding to the work in the presence of the Toronto-based authors. This is a free event. Ali, S.H., 2017. Borderless Diseases. In: The Wiley-Blackwell Encyclopedia of Globalization. American Cancer Society. Available here. Bain, A.L., 2017. Neighbourhood artistic disaffiliation in Hamilton, Ontario, Canada. Urban Studies, 54(13), pp.2935–2954. Available here. Bain, A.L. and Landau, F., 2017. Artists, Temporality, and the Governance of Collaborative Place-Making. Urban Affairs Review, p.1078087417711044. Available here. Budianta, M., Budiman, M., Kusno, A. and Moriyama, M., 2017. Cultural Dynamics in a Globalized World: Proceedings of the Asia-Pacific Research in Social Sciences and Humanities, Depok, Indonesia, November 7-9, 2016: Topics in Arts and Humanities. CRC Press. Available here. Gururani, S., 2017. ‘Designed to Fail’: Technopolitics of Disavowal and Disdain in an Urbanizing Frontier. Economic and Political Weekly, 52(34), pp.7–8. Available here. Hadj-Moussa, R. and Ayyash, M., 2017. Protests and Generations: Legacies and Emergences in the Middle East, North Africa and the Mediterranean. BRILL. Available here. Hae, L., 2017. James Farrer and Andrew David Field 2015: Shanghai Nightscapes: A Nocturnal Biography of a Global City. Chicago: The University of Chicago Press. International Journal of Urban and Regional Research, 41(1), pp.184–186. Available here. Kheraj, S., 2017a. Epilogue: Why Animals Matter in Urban History, or Why Cities Matter in Animal History. In: J. Dean, D. Ingram and C. Sethna, eds., Animal Metropolis, Histories of Human-Animal Relations in Urban Canada, 1st ed. [online] University of Calgary Press, pp.309–324. Available here. Kheraj, S., 2017b. How Canadians Used To Live With Livestock In Cities. In: J. Ellis, ed., Calgary: City of Animals. University of Calgary Press, pp.1–9. Available here. Kusno, A., 2017a. Gunawan Tjahjono & Josef Prijotomo: Postcolonial Traditionality. TU Delft Open. Kusno, A., 2017b. The political ecologies of housing in Indonesia. In: Trends and Issues in Housing in Asia. Kusno, A. and Colombijn, F., 2017. Kampung, Buitenwijken and Kota Mandiri: Naming the Urban Fringe on Java, Indonesia. In: What’s in a Name? : Talking about Urban Peripheries. University of Toronto Press. Mulvihill, P.R., Ali, S.H. and Ali, S.H., 2017. Environmental Management : Critical thinking and emerging practices. Routledge. Norcliffe, G., 2017. National Identity, Club Citizenship, and the Formation of the Canadian Wheelman’s Association, 1883–87. Journal of Canadian Studies. Available here. Peake, L., 2017. Feminism and the urban. In: A Research Agenda for Cities. pp.82–97. Available here. Peake, L. and Pratt, G., 2017. Why Women in Cities Matter. In: Urbanization In A Global Context. Toronto: Oxford University Press, pp.276–294. Available here.